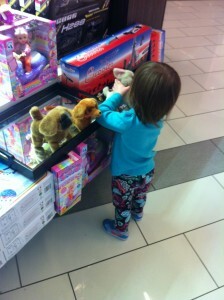 While we were at the mall the other day, M and I walked by a kiosk that had toy dogs walking and barking. M immediately ran over and was mesmerized. 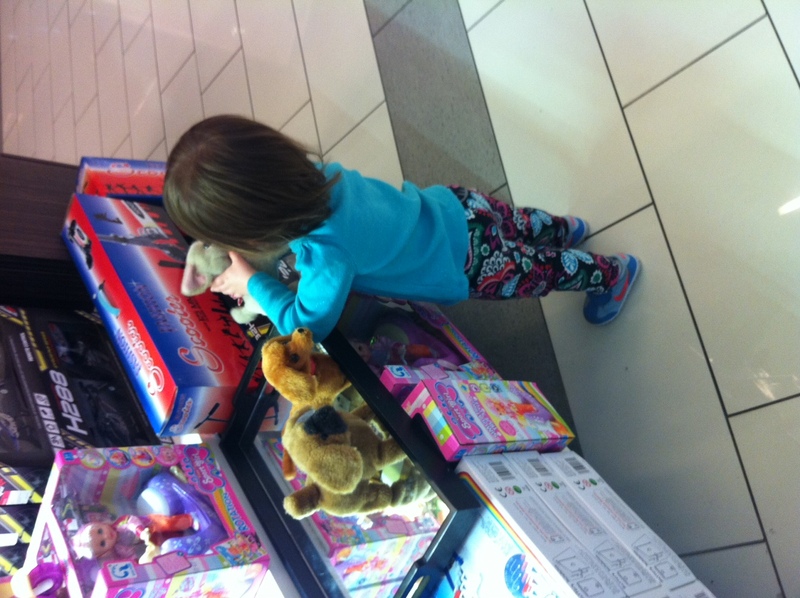 After a few moments, she picked up a doggie and started to walk away with it. I immediately walked her back and had her put the doggie back. I told her we can’t just take things because that is stealing, she looked at me as if I was crazy. So I told her the doggies lived at the kiosk. She agreed, but still thinks I’m crazy. I’m not sure if my life lesson of stealing sunk in. I’m just glad there wasn’t a tantrum and only the mad eye glare at mommy. Her eyes said it all..”Mommy kills puppy dreams.” Sadly, daddy kills puppy dreams, not mommy but I’m the bad guy again.